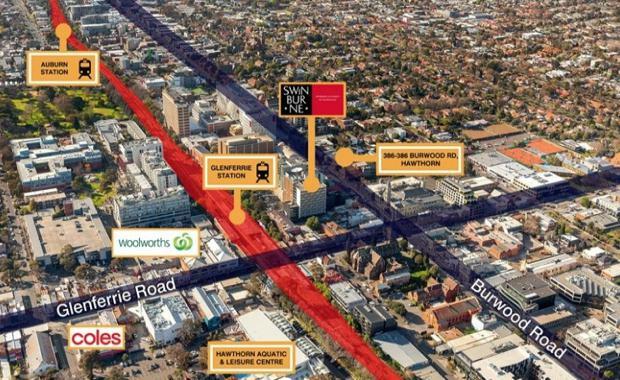 Developer CD Group has acquired a development site in Melbourne's Hawthorn for $6.28 million, according to The Australian. The property at 382-386 Burwood Road, Hawthorn comprises two retail buildings leased to a Korean restaurant. The 836sqm site was sold by Teska Carson agents Anthony Choi, Tom Maule and Michael Taylor on behalf of a Chinese family. The site is zoned Commercial 1.